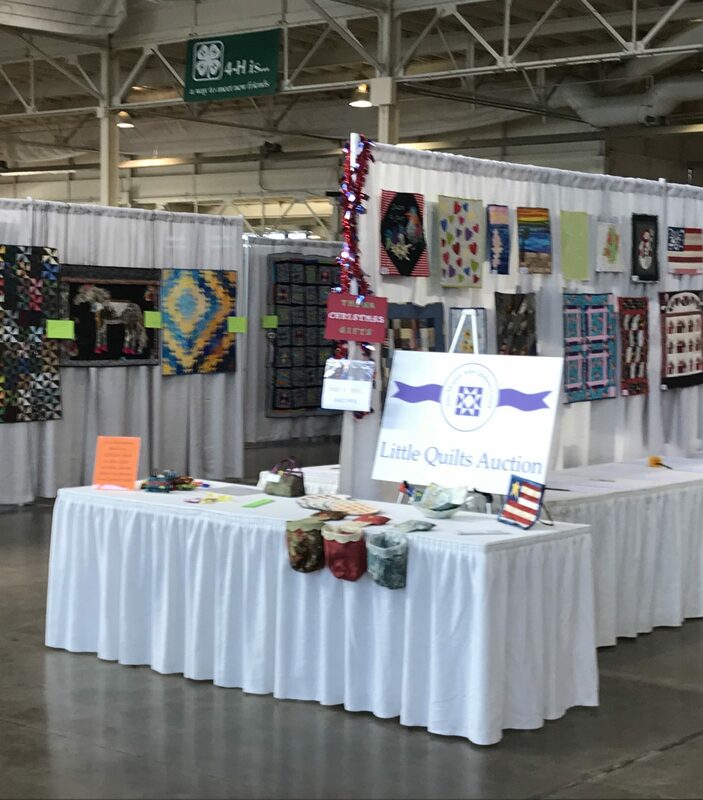 I dropped off some sponsorship materials this evening at the Des Moines Area Quilt Guild show and got to enjoy a little sneak peek. Wow! It’s quite a show. The title of this year’s show is “Watch us Shine!” and the guild members are doing just that. 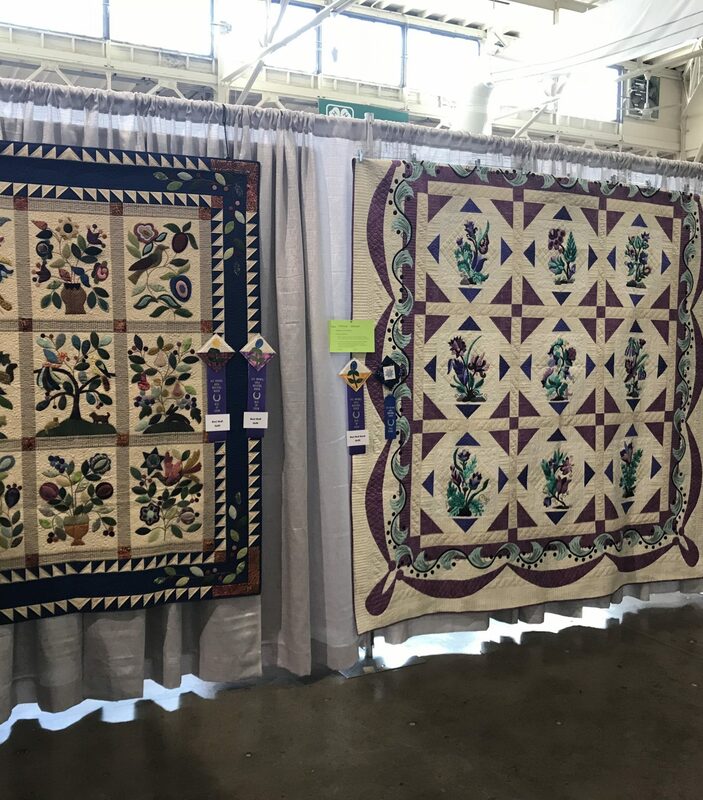 You can catch this wonderful display in the 4-H Building on the Iowa State Fair Grounds in Des Moines this Thursday through Saturday.. Show hours are 9:00 am to 6:00 pm Thursday and Friday, and 9:00 am to 5:00 pm Saturday. There are around 600 quilts on display in various categories, including appliqué, pieced, miniature, mixed technique, modern, hand or machine quilted, and wool plus over 40 quilting vendors. There will also be classes, presentations, and much more! You can find a full listing of what will be available at this show on the DMAQG website. 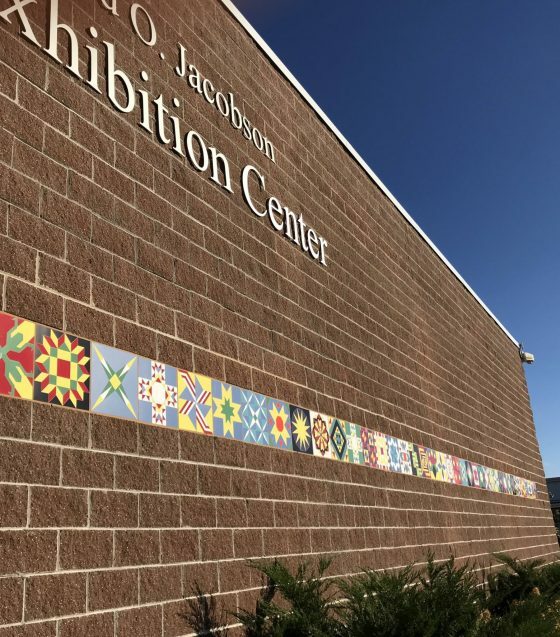 Just across from the 4-H building at the State Fairgrounds is the Jacobson Exhibition Center featuring rows of quilt block tiles adorning its exterior. My online searching didn’t turn up anything about their origins, but I’m sure that our state fair experts, Jerry Parkin & Dorothy Faidley will be able to tell us! 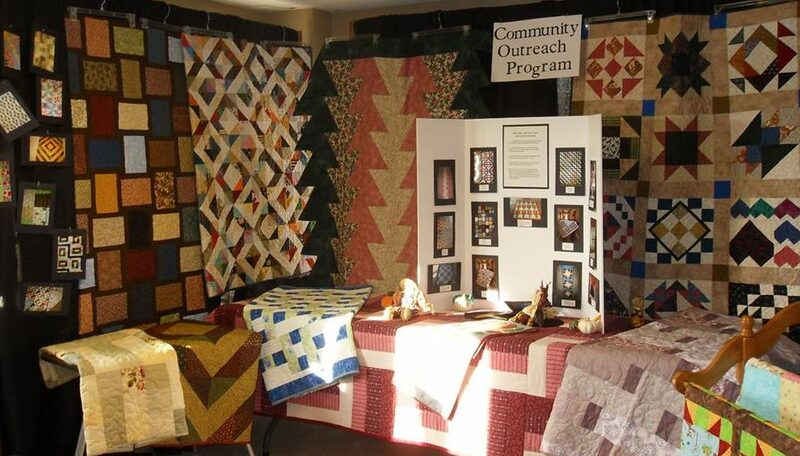 Jerry & Dorothy will be at the Iowa Quilt Museum this Saturday, September 29th, at 2:00 pm. 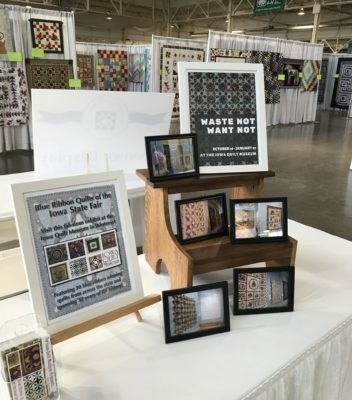 Jerry is an Iowa State Fair board member and Dorothy is the Superintendent of Fabrics & Threads. They each have a wealth of knowledge about the fair and, surely, some interesting stories to share as well! 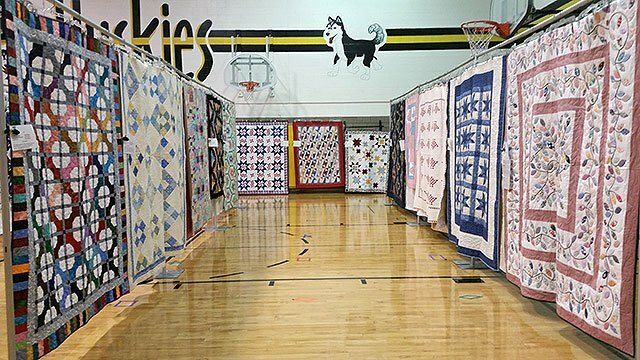 This event is included with the price of admission to the Iowa Quilt Museum – $6 for adults, $4 for children, FREE for members. Colorful vistas will be found both inside and outside during the Northeast Iowa Quilt Guild biennial show. October Jewels will held October 6th and 7th at the MFL MarMac High School, 700 S. Page St., Monona, Iowa. This is a new location for the guild, the last few shows have been in Decorah. Approximately 300 quilts will be on display during the weekend and visitors are invited to peruse the artistic creations. 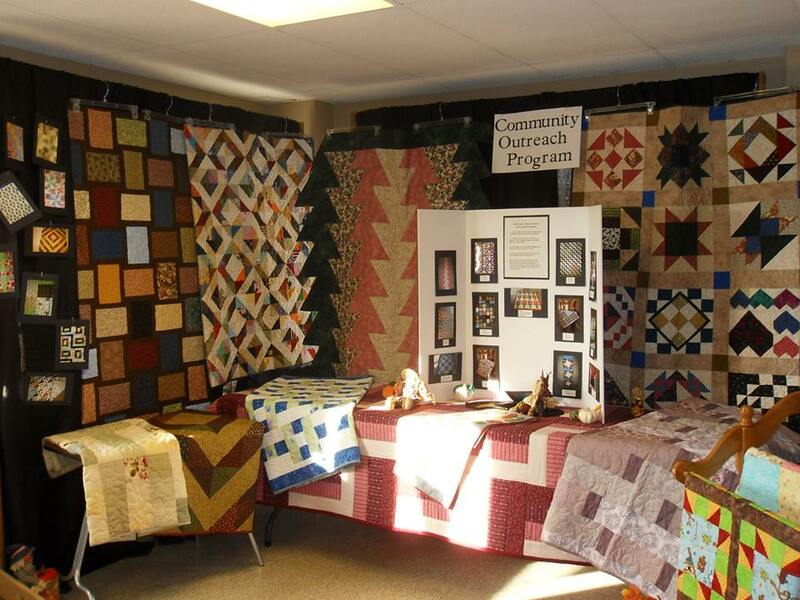 Members have also set up a special display of Quilts of Valor and challenge projects. 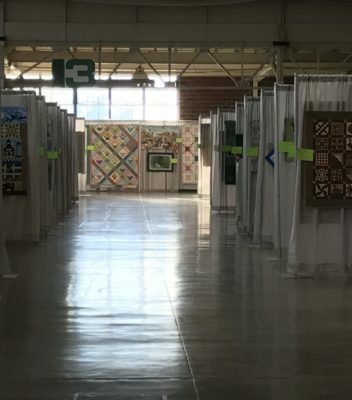 New this year to the show will be a display of quilts made by local high school students. 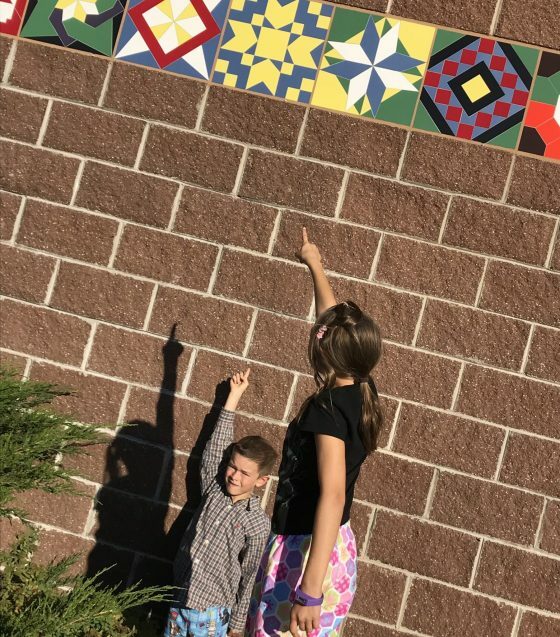 Stop in and see the creativity of these young quilters. Show hours are 10:00 – 5:00 on Saturday and 10:00 – 4:00 on Sunday. Admission is $5. Saturday events include a series of member demonstrations. At 2:00 pm Sunday, join guild members in the school auditorium as they honor the service of tri-state area veterans in a Quilts of Valor ceremony. Visitors can also buy chances on the raffle quilt, a king-size batik quilt pieced by guild members and machine quilted by a guild member. 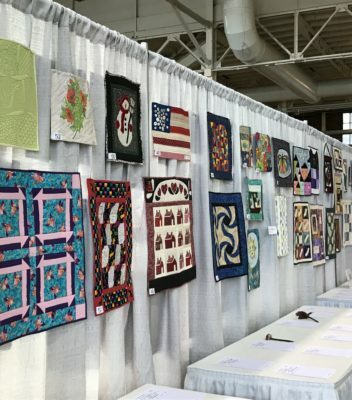 Drawing for the raffle quilt is at the end of the show on Sunday. 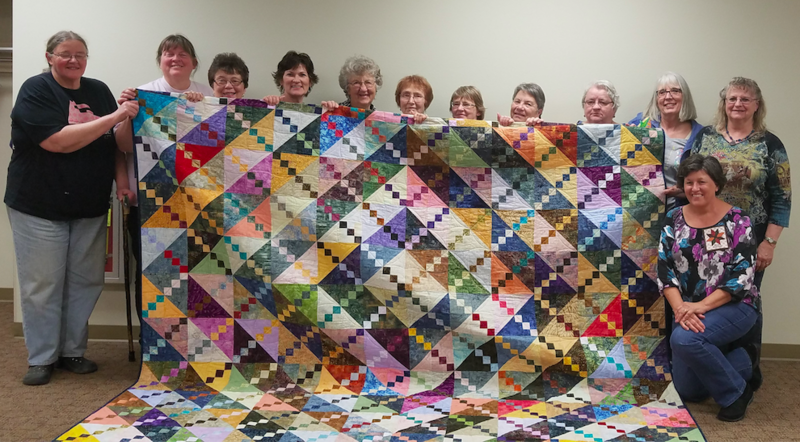 Guild members have also created a variety of quilted items that will be offered for sale at the canister raffle, with different items each day. Other show highlights include a magazine and book sale and lunch stand that includes homemade pies. Several vendors will be displaying a vast selection of quilting fabrics, patterns and supplies. For more information, visit the guild website www.neiqg.com. Thank you so much for the e-mail! I am from Up State NY, and enjoyed visiting the Museum this past July while in visiting our Daughter in Des Moines. It is a beautiful Museum, and have enjoyed getting the e-mails from you.